Motor insurance comes as a much-needed respite in the event of an accident that may cause damage to your vehicle. Insurance claims help pay for the repair of the vehicle and other financial issues incurred. While you can opt for the reimbursement claim process, choosing cashless claims method is an absolute convenience. All you have to do is get your car repaired at any of our network garages that’s closest to you and we will settle the bills directly with the garage. As on 1st May, 2018, we have a network of 5900+ garages. Filing or pursuing insurance claims might have been a headache, but now with digitization, the entire insurance claim process has become simple and easy. At ICICI Lombard, we provide E-Claim services wherein you can a lodge a claim on the website as well as on the Insure app. You can use InstaSpect, a live video inspection feature on the Insure app that helps you register your claim instantly and get immediate approvals. With InstaSpect, you will be connected to a claim manager who will assist you with inspecting your vehicle over a video call. In case of an unfortunate accident / breakdown, please call our toll free 1800 2666 and we would be glad to assist you. Note down the names and contact details of witnesses, if any. Contact our toll free number 1800 2666 and get your claim number / reference number or alternatively send SMS as “CLAIM” to 575758 and you will receive call from call center representative. The Call Centre Representative will provide you with the details of the documents required for claim processing and also details of our preferred cashless garage. Take the vehicle immediately to the suggested garage. Our Customer Service Manager (CSM) will contact you within 24 hours of registering the claim. Submit all the required documents to the dealer / CSM and get them verified with the originals. Our CSM will get the estimate for the repairs of your vehicle and give approval after assessment. In case of an unfortunate accident / breakdown, be assured of complete assistance from us to get back on the road, as early as possible. The first thing you need to do is call our toll free number 1800 2666, and then leave the rest to us. Submit all the required documents to the CSM and get them verified with the originals. Click here to download claim forms. ICICI Lombard will initiate the claim process. 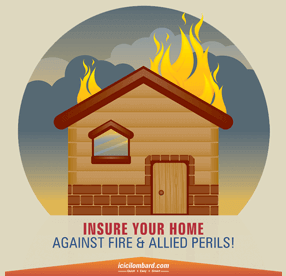 ICICI Lombard will reimburse the approved claim amount directly to the customer. 13.It shall be the duty of every Licensed Surveyor and Loss Assessor to investigate, manage, quantify, validate and deal with losses (whether insured or not) arising from any contingency, and report thereon to the insurer or insured, as the case may be., All Licensed Surveyors and Loss Assessors shall carry out the said work with competence, objectivity and professional integrity and strictly adhere to the code of conduct as stipulated in these Regulations. (q) commenting on salvage and its disposal wherever necessary. A surveyor or loss assessor whether appointed by insurer or insured, shall submit his report to the insurer as expeditiously as possible, but not later than 30 days of his appointment, with a copy of the report to the insured giving his comments on the insured’s consent or otherwise on the assessment of loss. Where, in special circumstances of the case, either due to its special and complicated nature, the surveyor shall under intimation to the insured, seek an extension, in any case not exceeding six months from the insurer for submission of his report. In cases where the Survey report is pending due to non completion of documents, the surveyor may issue the final survey report independently based on the available documents on record, giving minimum three reminders in writing to the insured. If an insurer, on the receipt of a survey report, finds that it is incomplete in any respect, he shall require the surveyor under intimation to the insured, to furnish an additional report on such incomplete issues. Such a request may be made by the insurer within 15 days of the receipt of the original survey report. The surveyor on receipt of this communication shall furnish an additional report within three weeks of the date of receipt of communication from the insurer. Is your vehicle damaged? You can instantly lodge a claim with us. We'll begin the claim assessment process, right away! eClaim Form Select this option to submit claim form after initiating the claim. Upload Documents Once you have already submitted the claim form, you can easily upload your documents.